The Vodka Tonic is an easy-to-make, refreshing sipper that is perfect for any day and every occasion. Where the Gin & Tonic relies on the flavor of gin to make the drink, this vodka cocktail is very clean, allowing the dry taste of tonic water to really shine. The Vodka Tonic is a popular drink for a number of reasons. It's easy, refreshing and a fantastic way to feature your favorite vodka. Choosing a good vodka is very important because there are only three ingredients in the recipe and each needs to be of decent quality or the entire drink breaks down. A subpar vodka will add nothing to the drink and its impurities will take over the drink. Pour the vodka and lime juice into an ice-filled highball glass. You might also want to try the Vodka Tonic with any of your favorite flavored vodkas. Adding half a shot of a fruit liqueur is not a bad idea either. Mango liqueur is a fantastic choice. The same attention to quality should be applied to the tonic water. For the best Vodka Tonics, I would recommend Q Tonic, Fever-Tree or a tonic of equal quality. If you're new to tonic water, you will find it to be far drier than other sodas. In fact, the lack of sweetness is the appeal to tonic and that slightly bitter taste is due to quinine, tonic's main ingredient. This profile makes any tonic drink the perfect accompaniment to meals because it allows you to taste the food without distraction and it doubles as a palate cleanser. If you've had a Vodka Tonic before and found it not to be a favorite, give it a try with a combination of premium vodka and tonic (and fresh lime, of course). The difference may surprise you and it may soon become a new favorite. How Strong Is the Vodka Tonic? Like any tall drink, you can make the Vodka Tonic as strong as you like. On average, about 5-ounces of tonic will be poured. In this instance, this drink weighs in at a mild 10 percent ABV (20 proof). That is about the same alcohol content as an average glass of wine. It's not easy to make your own tonic because it's not as simple as adding a homemade syrup to carbonated water. 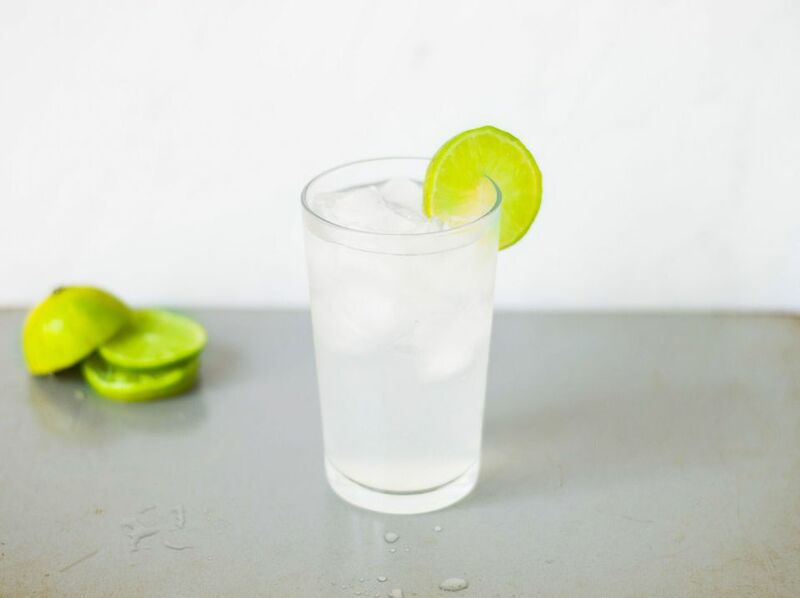 The quinine is the tricky ingredient, but there are a number of companies that produce tonic concentrates, so making tonic water at home can be simple. Top Note Tonics is one of the brands that I highly recommend. The company makes a variety of tonic concentrates, ranging from a traditional Indian tonic with a fantastic spice to citrus-laced, bitter tonics like lime, lemon, and orange. They are reasonably priced and have a perfect flavoring that can be adjusted to suit each drink. No one-size-fits-all tonic here! You can pour as much or as little concentrate into your glass as you like. All you need is club soda or seltzer from your soda siphon or soda maker and a great glass of tonic is ready. I had the pleasure to experiment with all of the Top Note tonics and found that I enjoy 1 1/2-ounces of concentrate with around 6-ounces of seltzer. This produces the perfect balance of bitter tonic flavor for my palate. It is also nice to have the option of bitter citrus. The lemon, lime, and orange options are a nice twist to any of these tonic cocktails. Sure, you can add fresh citrus, but having that flavor in the concentrate is convenient and the flavor blend is nicely balanced. Overall, if you are a fan of tonic, you will find that the concentrates from Top Note are a joy to discover and mix with. At under $10 for a 10-ounce bottle, they're a good buy as well.